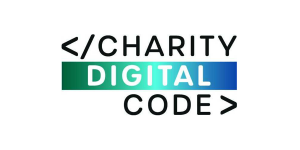 The Charity Digital Code of Practice has recently been launched, developed by a partnership of organisations including Zoe Amar Digital, Charity Comms, The Charity Commission, Office for Civil Society, CAST, Tech Trust, ACEVO and others. The aim of the Code is to make charities more accessible for beneficiaries, create new opportunities for funders to engage with digital and enhance collaboration across the sector. It should be noted that this is is not a how-to guide, although the team are aiming to develop accompanying resources once the final version of the Code is launched at the end of this year. Thank you for your booking: Views wanted on The Charity Digital Code of Practice. We will be in touch soon to confirm your place.